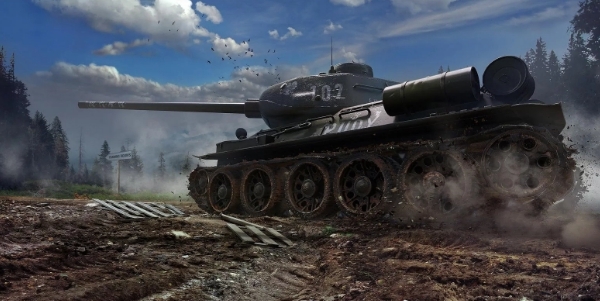 The ultimate World War 2 tank shooter game World of Tanks Blitz has been updated with enhanced multiplayer experience than ever before. Game-play is based on real WWII tank battles involving tanks and battlefields from that era. In this mobile MMO tank battle game there are over 200 different tank types to unlock. Every tank type has its own strong points suited for particular mission or terrains, some tanks are quick but easily destructible others are heavy mettle built inflict heavy damage but are slow to more around; you decision of tank choice will determine the success or failure of the mission. Download World of Tanks Blitz for free, some game items will cost real money but are worth it, or you can win extra money for upgrades from completing challenges and mission. There is no Windows & Mac version of the game but you can play mobile version on Windows 10/8/8.1/7/XP/Vista & Mac OS X loaded PC/laptops. You will need BlueStacks emulator for playing World of Tanks Blitz for PC on bigger, better and high-resolution computer displays, see instructions below but first let’s discuss some tips & tricks for playing the game. This game World of Tanks Blitz for Windows & Mac has been optimized for both touchscreen and normal screens. Create team to take on other players in 7v7 and PvP modes. Assign roles to each team member and place tanks in strategic locations for surprising enemy. There are over 200 WWII era vehicles in the game and 18 different battlefield settings. Master the art of tank control, get to the best tank type, unlock it to increase your value. Everyone will offer you place in the team once you have unlocked the most powerful tanks in the game. Game-play is easy to understand and tanks are not hard to control but in battle things can get tricky if strategy lacks coherence. So constantly stay in touch with other team members and exchange strategies in real-time during battles. Game is heavy so make sure at least 3GB hard disk space is available before installing the game. New training rooms. Better Black Goldville. Now you can collaborate with other players in training rooms to explore maps and test tanks before battles. With Clan supply you can get discount on the purchase of new tanks, repairs, and additional equipment. New oil refinery and hiding places. 2 – Follow on-screen instructions to complete BlueStacks setup and login with Google Play ID to access Android apps. 3 – Type World of Tanks Blitz in the search box on BlueStacks home screen. 4 – Click on the app icon from search result list to open Google Play game installation window inside BlueStacks. 5 – Now hit the install button. 6 – Or if you can’t find the app on BlueStacks then download World of Tanks Blitz Apk here. Click downloaded apk file for installing the game on BlueStacks. 7 – Back on BlueStacks home screen click All Apps icon and find the game on the list. 8 – All done. Now play best tank battle game on PC via BlueStacks.